Hubble Space Telescope (HST) peered through the veil of Pandora’s Cluster and discovered a provocative sight. 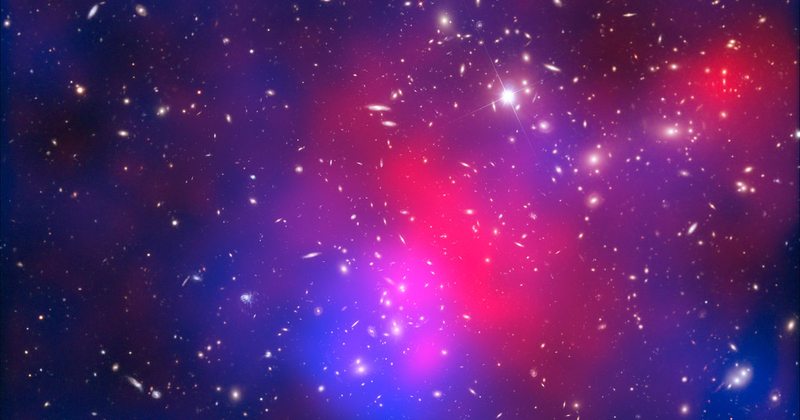 So named because it is thought to have formed from a violent colliding of several galaxy clusters, Pandora’s Cluster is officially named Abell 2744. The scientists with their eye on Hubble’s peep hole used the cluster’s immense gravitational effects as a lens to magnify far deeper, older galaxies hiding behind it. Each point of light in the image is an entire galaxy, containing many billions of stars. Those in the background have never before been detected. Because light travels at 700 million miles an hour, the farther away the galaxy the farther back in time we see it. Found lurking behind Pandora’s cluster were 3,000 of the earliest galaxies yet discovered, many of which appear in the image as blue arcs and blobs. At least four of these new galaxies are seen as they were 13.5 billion years ago, a mere 500 million years after the Big Bang that gave rise to our current universe. And all of this, in one small patch of the night sky that appears blank to the human eye. 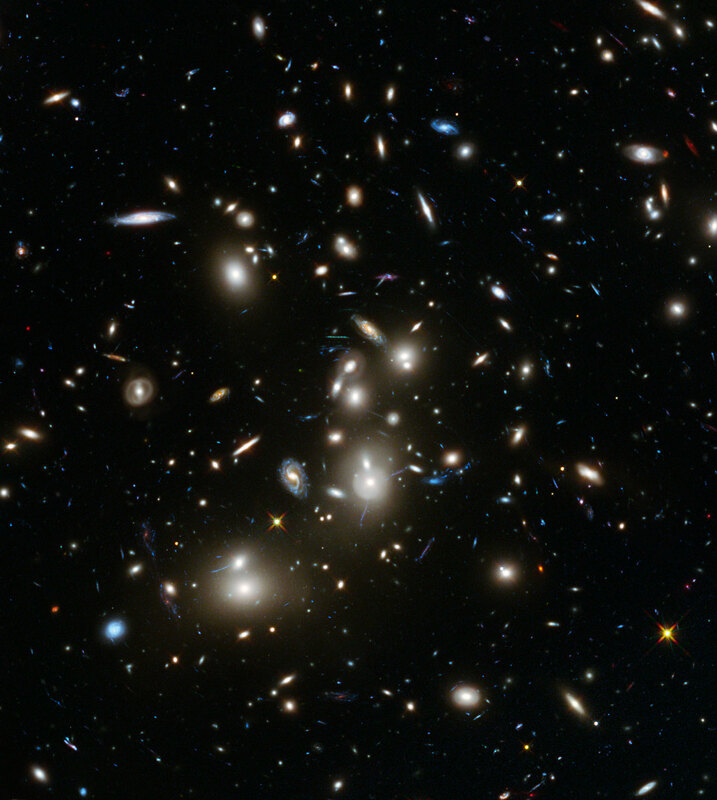 In a paper made available through the Cornell University Library, a team led by astrophysicists Hakim Atek and Johan Richard presented the findings from their deep field observations of galaxy cluster Abell 2744 combining newly acquired near-infra red data with optical images taken from the NASA’s Hubble Space Telescope and those acquired though the Spitzer Space Telescope, of the Jet Propulsion Laboratory, at the California Institute of Technology. Among the many new discoveries within the initial findings include the fact that many of these early galaxies are considerably brighter than they expected, up to 20 times more luminous than predicted. “There are strange things happening… we’re suddenly seeing luminous, massive galaxies quickly build up at such an early time… They were much larger than we expected to find. Only 1% of our Milky Way. But that is a big galaxy for that early era,” said Dr. Garth Illingworth from the University of California at Santa Cruz.